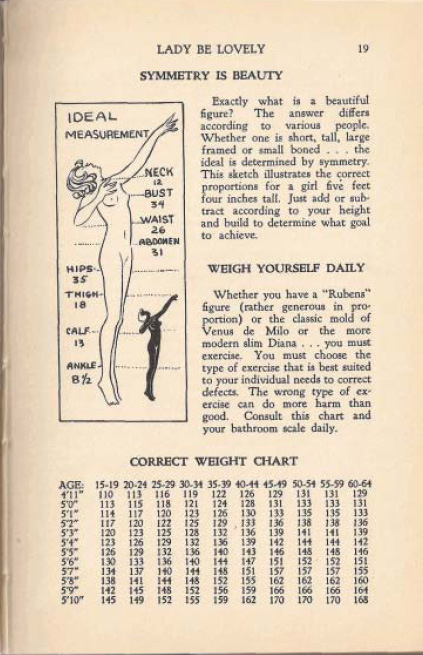 According to Anne Rodman, no matter what your figure you MUST exercise. I couldn’t agree more. In fact tomorrow morning I’ll be at the gym for a spinning class, followed by Pilates. If I’m not symmetrical, it’s not for lack of trying. 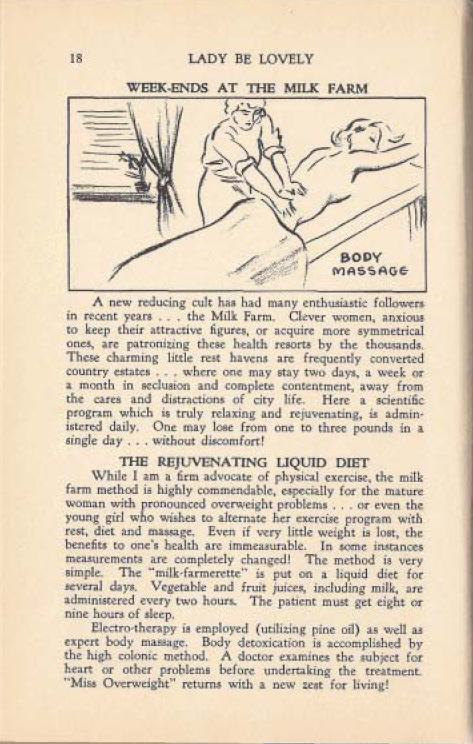 Health spas and liquid diets aren’t new phenomenons, so it isn’t surprising that Anne Rodman would spend a few paragraphs on them. I think a few days at a Milk Farm are exactly what I need. 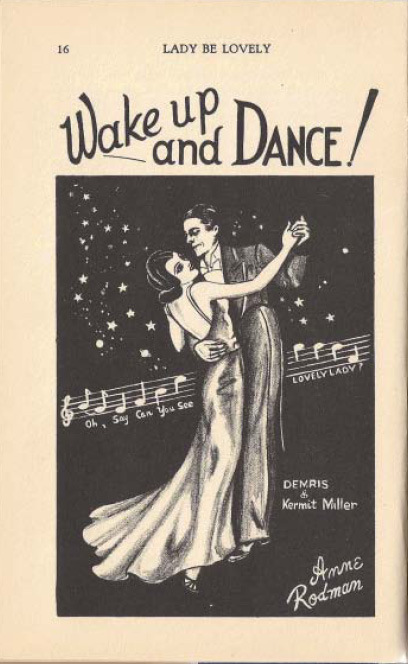 Lady, Be Lovely: Wake Up and Dance! Most of the celebrities who have appeared on “Dancing with the Stars” have said that they’ve lost weight. Anne Rodman, author of “Lady, Be Lovely”, knew as much in 1939. 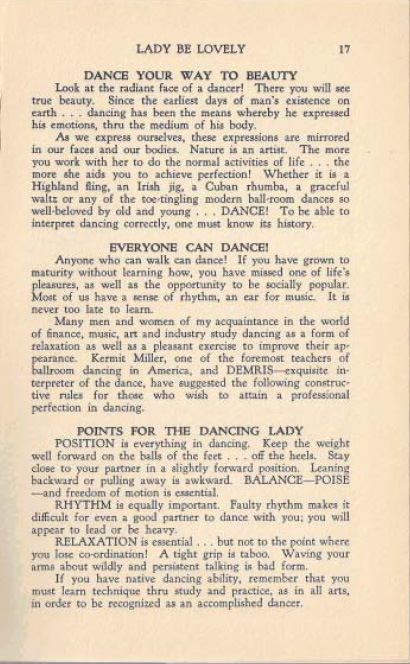 Here’s what she had to say about dancing your way to beauty. So, ladies, get up off of the sofa and shake it!